For the first time, two Oakland chefs are competing on the culinary competition. 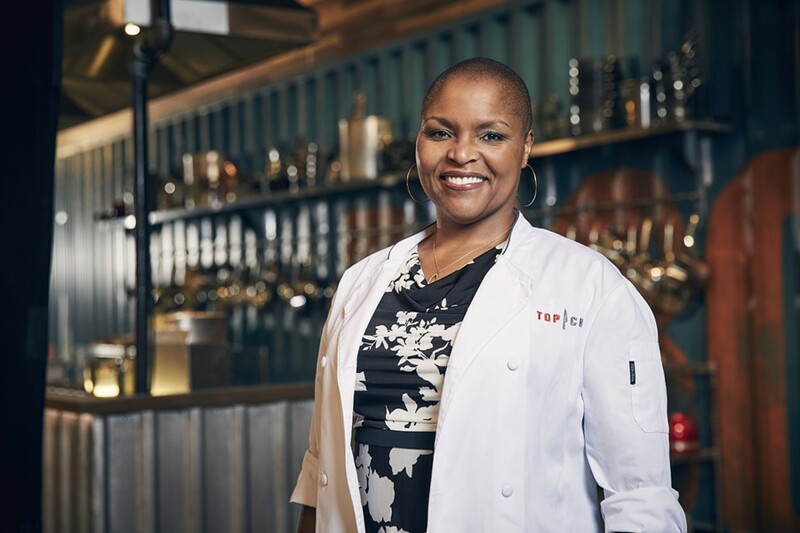 Tanya Holland is one of two local chefs on this season of Top Chef. 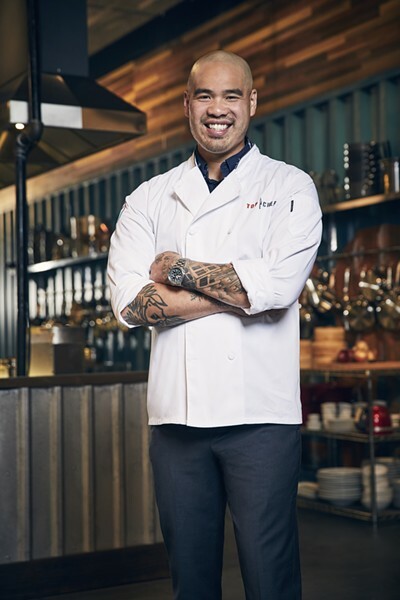 For the first time, two Oakland chefs are competing on Top Chef: Holland, the chef-owner of Brown Sugar Kitchen, and Tu David Phu, who runs the pop-up ĂN: A Vietnamese Dining Experience. While San Francisco chefs often appear on Top Chef — this season, there’s Rogelio Garcia of The Commissary and Melissa Perfit of Bar Crudo — the East Bay has yet to be represented. (Preeti Mistry of Juhu Beach Club and Navi Kitchen and Jen Biesty of Shakewell were both living in San Francisco at the time of their appearances.) The premiere airs Thursday, Dec. 7, on Bravo. “Hopefully it’ll continue to shed some light on what we’re doing out here,” Holland said. said Top Chef has been asking her to come on the show for years. This time, she accepted to help bring attention to Brown Sugar Kitchen as it expands to Uptown Oakland and The Ferry Building in San Francisco. Tu David Phu said the show is "one of the best things" he's ever done. In addition to representing Oakland, Holland and Phu bring welcomed diversity to the show. Typically, the Top Chef cast is primarily white and winners have been disproportionately white and male. One Vietnamese-American chef, Hung Huynh, found victory back in season three, but a Black woman has yet to win. The chefs are sworn to secrecy about what happens the rest of the season, though they can speak generally about the experience. “It was physically demanding, mentally demanding, a lot in the way working in a restaurant is,” Holland said.